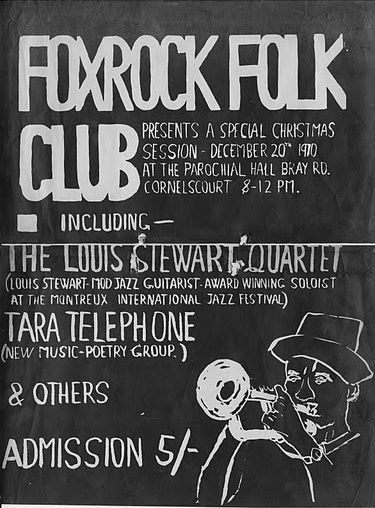 "Louis Stewart was born in Waterford in 1944 and brought up in Dublin, a city with a lively, if limited, jazz scene. A record of Barney Kessel first aroused his interest in jazz; he took up the guitar and, with single-minded determination, taught himself to play so effectively that he was invited to join a band for a visit to America in 1961. Auditioning for this job, he met Jim Doherty, an outstanding pianist in his own right and formed the basis of an enduring personal and musical friendship. After three years of showband work, he joined the Noel Kelehan Trio, his first opportunity to play jazz regularly. Kelehan, another outstanding pianist and arranger, also helped to lay the foundations of his future development. Regular jazz work followed, notably at the Fox Inn, a pub run by American saxophonist Jim Riley in the countryside north of Dublin. 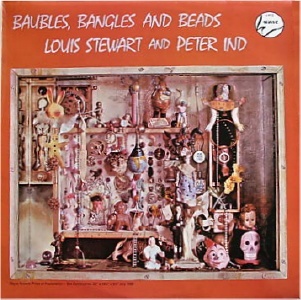 Despite the unlikeliness of the setting there was a considerable array of visiting talent; altoist Lee Konitz, pianist Keith Jarrett, singers Sheila Jordan, Annie Ross and Jon Hendricks among others. 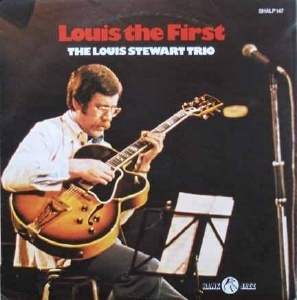 Gerry Mulligan, an occasional visitor, played with Louis in the mid-sixties and joined the growing ranks of musicians who recognised the phenomenal abilities of the young Dublin guitarist. 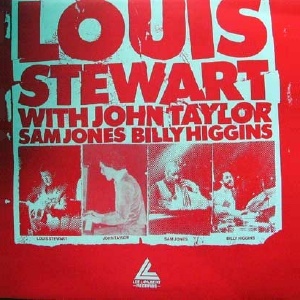 Louis' career received a tremendous boost when he appeared at the Montreaux Jazz Festival in 1968 with the Jim Doherty Quartet. The group was voted second in the band category and Louis received the Press Award as the Outstanding European Soloist of the Festival. Later that year he was voted third in the guitar section of the Jazz Forum Readers' Poll. Returning to Montreaux the following year with pianist Ian Henry and drummer and bassist on this record: John Wadham and Martin Walshe, he shared the Festival's top award, the Grand Prix de la Radio Suisse Romande, and was awarded a scholarship to the Berklee School of Music. That same year he was placed second in the guitar section of the Melody Maker Poll. By now he was playing regularly in a quarter led by the late Tuddy Hayes. The pianoless format and the tenor saxophonist's penchant for fast tempos made demands on the guitarist that broadened his technique still further so that Hayes, himself among the most discriminating and adventurous of musicians, could describe him as 'a creative soloist with a sound harmonic knowledge and good time'. Benny Goodman heard his playing in this period and invited him to join his big band for three tours throughout Europe. 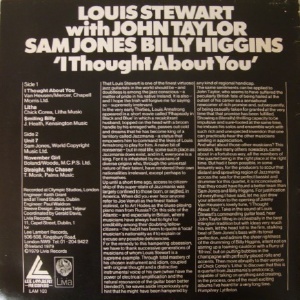 In 1971 Louis returned to Dublin where the scene benefitted enormously by his presence. He appeared frequently on Irish television and wrote music for several TV programmes including the award-winning 'A Week in the Life of Martin Cluxton'. 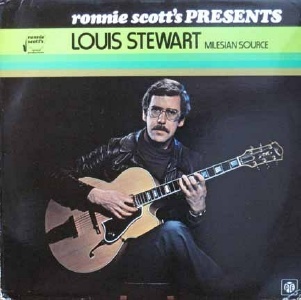 A London booking as part of a Jazz Guitar Festival in mid-1975 led to Louis being invited to join Ronnie Scott's new quartet and brought his work to the attention of a wider jazz public both at the Scott Club and on tours in Europe. 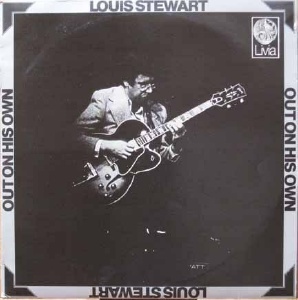 Sunday Times' Jazz Critic, Derek Jewell heard him at the Club in August and, in a reaction typical of many musicians and critics wrote 'Louis Stewart played quite ravishingly on guitar with the technical mastery of Wes Montgomery and attractive fluency. With luck, he really could become the best jazz guitarist in the world'. Inevitably, he has made records; in a big band setting with the Tubby Hayes Orchestra, with Clark Terry at Montreaux in 1968 and with Benny Goodman. In smaller groups he has recorded with Ken Moule's London Jazz Chamber Orchestra, with an International gathering in Germany and with British bassist Peter Ind in a series of duets. 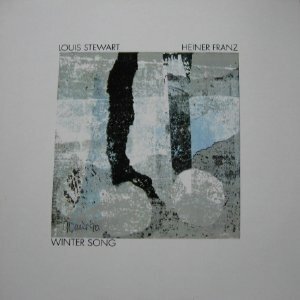 Astonishingly, until his present album, he has never had a release under his own name." --Ray Comiskey, Jazz Critic for the Irish Times. 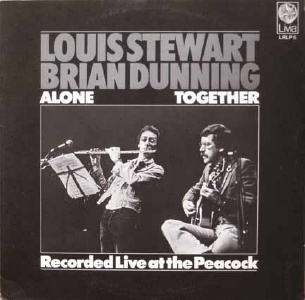 Louis Stewart's recording debut was circa 1960 when he played on a recording made for Gael Linn Pops on RTE Radio. This show featured modern (pop) songs sung with Irish language vocals and by all accounts this was an experiment that didn't quite come off. The recording in question was "An Bhfuil an Fonn Sin Ort?" ("Are You In The Mood") sung by Sonny Knowles, music written by Ian Henry, lyrics by Niall Toibin. I don't know if the recording survives in the RTE Archive. Sonny Knowles later recorded this as a single for Gael Linn, but whether it's the same recording I cannot say. Lineup: Louis Stewart (guitar), Martin Walshe (bass), John Wadham (drums). 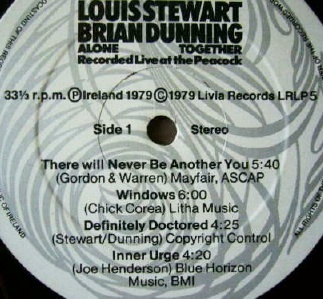 Notes: Recorded September 1975 in Trend Studios Dublin, engineered by Fred Meijer. Produced by Gerald Davis. Lineup: Louis Stewart (guitar) and Peter Ind (bass), running through various standards. 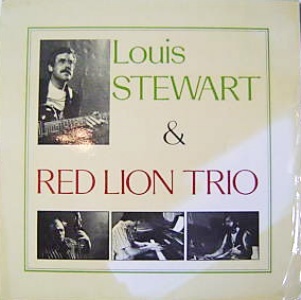 Lineup: Ronnie Scott, Louis Stewart (guitar), (John?) Taylor, Martin Drew (drums). Lineup: Louis Stewart (guitar), Ron Mathewson (electric & acoustic bass), Geoff Castle (keyboards), Martin Drew (drums, Percussion). Notes: Recorded November 1975/January 1976 at Pat Hayes Sound Studios in Bray. Engineered by Pat Hayes, produced by Gerald Davis. Lineup: John Wadham (drums) in duo and trio recordings with Louis Stewart (guitar), Brian Dunning (flute) and Martin Walsh (bass). Notes: Recorded at Pat Hayes Sound Studios Bray and Trend Studios Dublin. Produced by Gerald Davis. 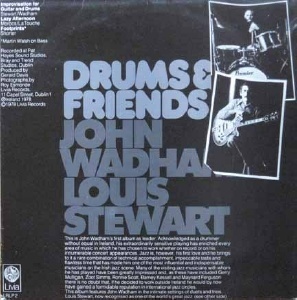 From the sleeve notes..."This is John Wadham's first album as leader. Acknowledged as a drummer without equal in Ireland, his extraordinarily sensitive plaing has enriched every area of music in which he has chosen to work... 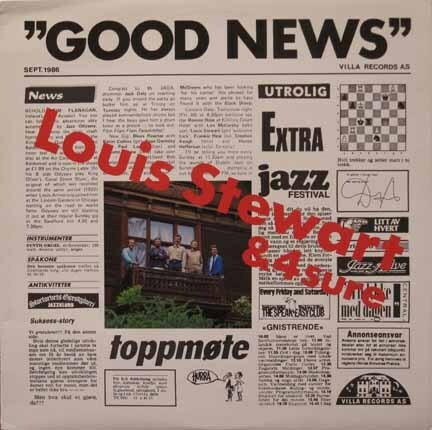 Many of the visiting jazz musicians with whom he has played have been greatly impressed ... these have included Gerry Mulligan, Zoot Simms, Ronnie Scott,..."
Lineup: Louis Stewart (guitar) and Brian Dunning (flute). Recorded live at the Peacock Theatre. Notes: The Jazz Phantoms are Alan Kelly (rhythm guitar & vocals), Philippe Godard (contro bass) and Patrick Collins (violin). Notes: Recorded at Trend Studios, Dublin on Wednesday 3rd July and Monday 8th July 1985. Engineered by Paul Waldron, produced by Louis Stewart and Martin Taylor. "Extraordinary high levels of focused, deep, creative playing... [Louis Stewart] must be considered one of the instruments' world class players." - Downbeat Magazine. 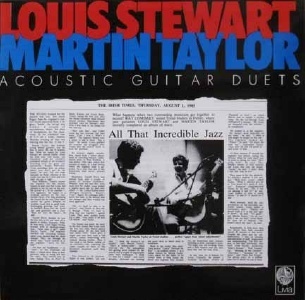 "Martin Taylor is one of the most awesome solo guitar players in the history of the instrument. He's unbelievable." - Pat Metheny. LP - Decibelle - DCB 3703 - France - 198? 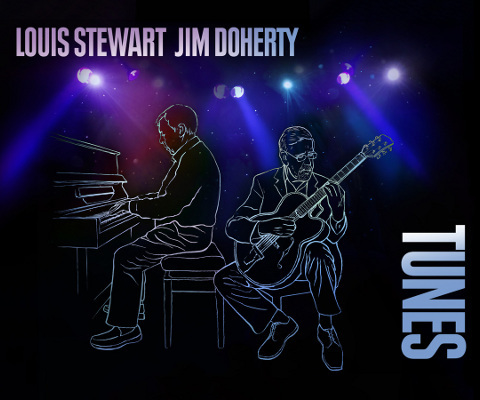 Lineup: Louis Stewart (guitar) accompanied by René Goaër (piano), Pierre Michelot (bass) and Philippe Brian (drums). Recorded at Lorient, France. 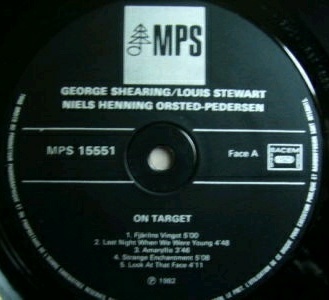 Lineup: George Shearing with Louis Stewart on guitar & N.H.O.Pedersen on bass, with the arranger Robert Farnon & his Orchestra. 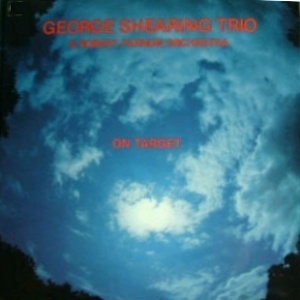 "Very subtle and impressive orchestration, always augmenting the fine trio playing." Duets with Jim Doherty (piano). 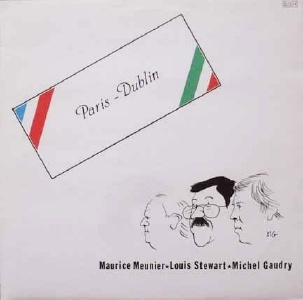 Recorded at Beechpark Studios, Dublin.